This is a nice bowie. It has the tightest wolf tooth pattern that I have made. I cannot get them any tighter than this knife. The mountings on it are rare for me to do. If you are wanting a one of a kind bowie this is the one. 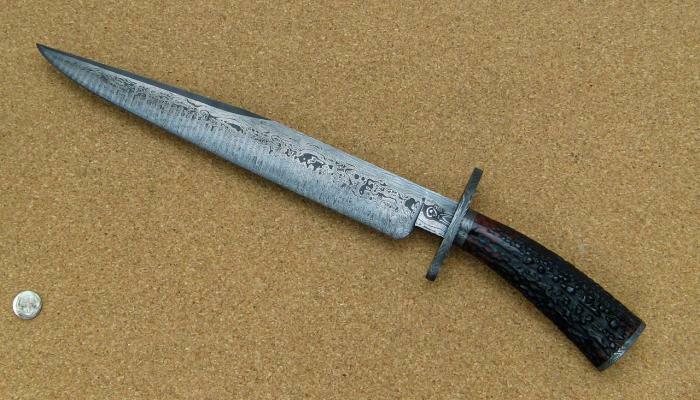 Bolster/Guard: Damascus guard, ferrule and pommel cap.